The RECENT weakness in gold and gold mining stocks is not over, writes Jordan Roy-Byrne at TheDailyGold. In fact, we are worried about another leg down getting underway. 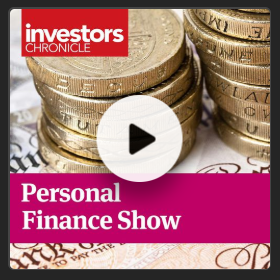 Long-term oriented investors and speculators should be aware of the near-term trends but they should also be aware of the conditions that will lead to a shift from a bear market to a bull market. Other than in 1985 through 1987 there has never been a real bull market in gold without it outperforming the stock market. 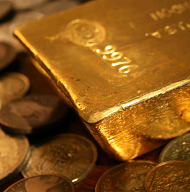 A weak stock market usually coincides with conditions that are favorable for precious metals. That's either high inflation or economic weakness that induces policy that is usually bullish for precious metals. The 2016-2017 period failed to be a bull market because the equity market continued to outperform gold. 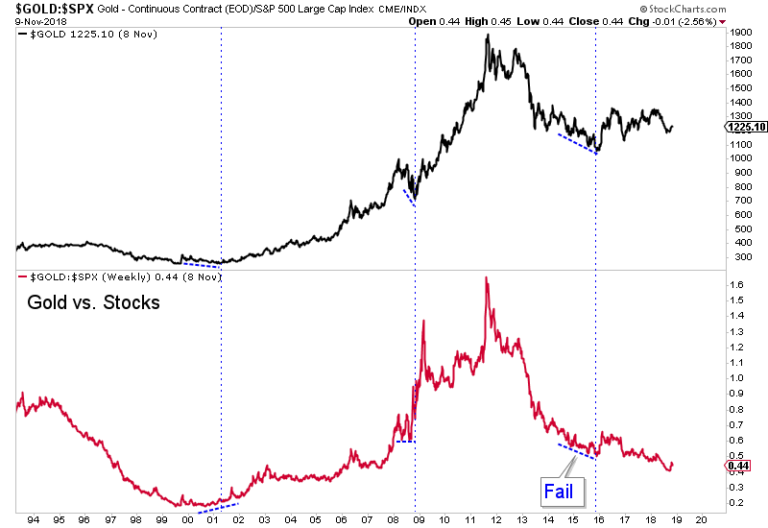 Note that the Gold-to-Stocks ratio bottomed prior to the 2001 and 2008 bottoms. Gold outperforming foreign currencies is important because this usually happens while the US Dollar remains in an uptrend. 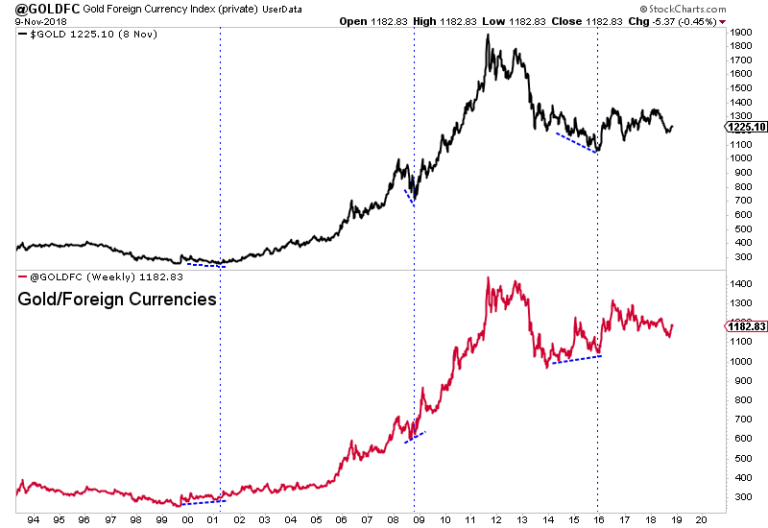 It signals relative strength in gold and shows that gold is not being held hostage by the strong Dollar. It also can signal a coming peak in the Dollar. Gold was outperforming foreign currencies prior to the 2001, 2008 and late 2015 bottoms. There are currently no positive divergences in place. This does not precede bottoms in Gold as it typically is a lagging indicator. But a list of "4" things does not carry the same weight as five. 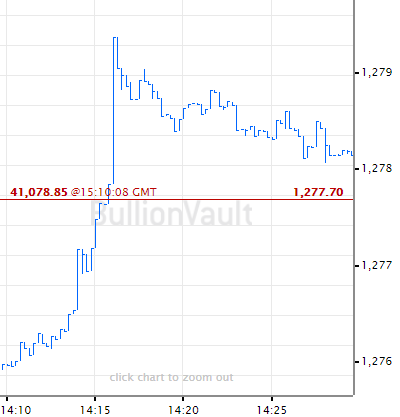 Anyway, gold is not going to embark on a major, long-lasting bull market without a corresponding peak in the US Dollar. Sure, they can rise at the same time and for months on end. However, it's difficult to imagine a multi-year bull market in gold without a corresponding peak in the Dollar. 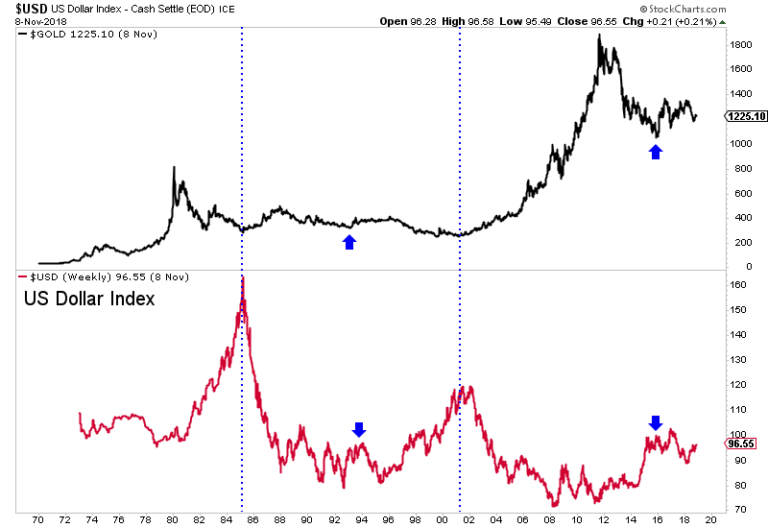 Peaks in 1993 and 2016 led to brief runs in gold but those were nothing like the 1985 and 2001 peaks. Below we plot GDM, which is the forerunner to GDX. Note that gold stocks essentially crashed into their late 2000 and late 2008 lows. They also crashed into their summer 2015 low which wasn't the final low for the sector but was for the senior miners. 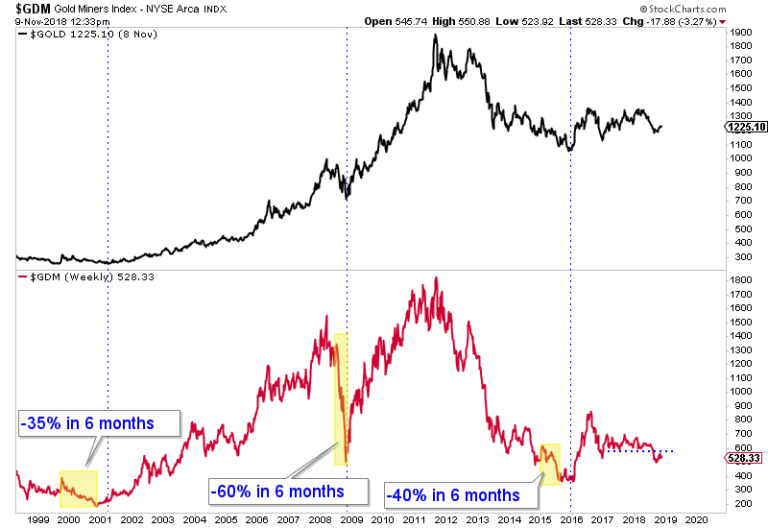 The main point is that if gold mining stocks fall apart again it could very well be a sign that a bottom is almost imminent. Over the past 60 years, gold stocks have often bottomed almost immediately after the peak in the Fed Funds rate (FFR). In 10 of 12 rate cut cycles, gold stocks bottomed a median of one month and an average of two months after the peak in the FFR. 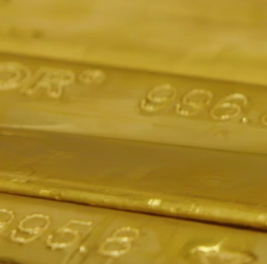 The average gain of gold stocks following that low was 185%. There are also points where the gold stocks declined during a period of rate cuts or no Fed activity. Bottoms then were sometimes followed by the start of Fed hikes. However, given the current conditions, we are quite confident that gold stocks will bottom immediately after the Fed's final rate hike.